Been working. 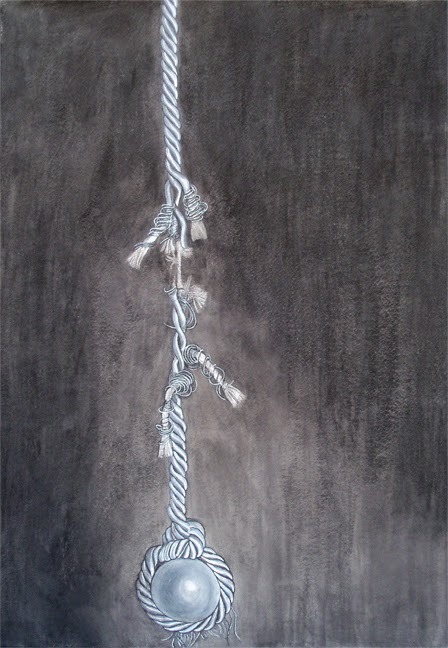 Finished another drawing (below). Working on some fabric designs. Started making a book! I just need to start photographing already, which has taken me longer than I like. And, I am excited to announce I will collaborate with Bad Kitty Productions, an institution based out of Illinois (website coming soon). I will be writing and designing for their books, upholstery, and even clothing. This is all pro bono of course, but it is still an exciting collaboration. Bad Kitty Productions is a feminist art collective of like-minded folks. Back to work schedules. My partner sent me this link today. 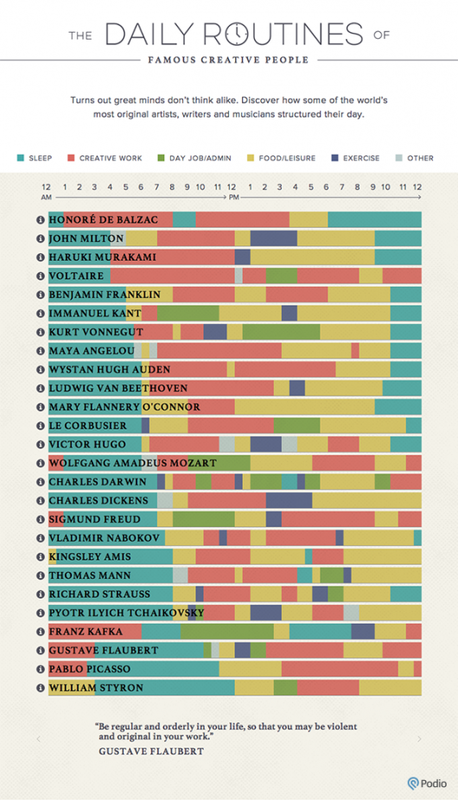 À la française, here is a look at famous artist/writer’s work schedules, with a neat illustration. I like this. I am always worried I am not working hard enough. It seems it must be stressful or painful in order for the work to feel legit. For creative types, it’s not always about the quantity of time working, but how well you use the time you do have. For instance, my favorite writer Flannery O’Connor worked very little compared to other writers due to being sick most of her life. But her life’s work, however short, is rich and feels bountiful. I see Picasso and I shared a similar work schedule back when I didn’t have to work 9-5. Now, my work schedule resembles Franklin’s, maybe even Freud’s. I am still a night owl. I do not envy Voltaire.